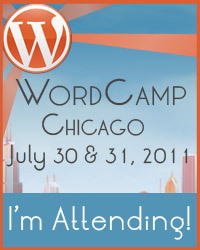 I’m attending WordCamp Chicago this weekend. Alas, I will miss Saturday, but I’ll be there with bells on for Sunday. And I have to remember I owe Otto a drink!